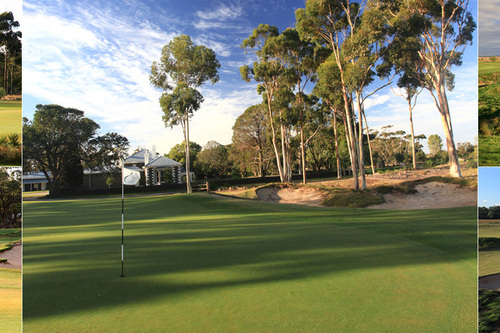 The design of the course has an established layout to provide a variable difference to the holes in all weathers to serve players of all skills, the fairways are bountiful and attractive to allow a generous perspective of the greens. The majority of the balls can be played low to the ground to combat the wind from the nearby farms and open land. There are open creeks and water features that lie across the course which will give a variety of choices of whether to play risky shots or to take a more sedate path around the course. 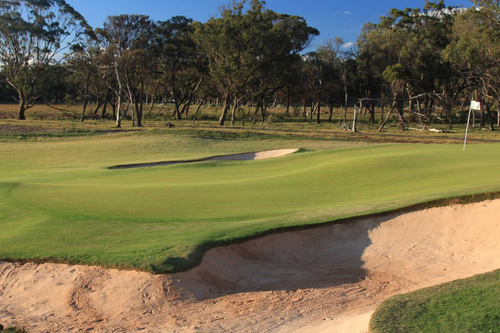 Eynesbury is an acclaimed club with tree-lined and open parkland design, it is for the most quite flat with a generous amount of handsome features. A stimulating and thought-provoking course which makes it a very popular club to visit. Eynesbury is a suburb of Melbourne and only 40km west of the central business district, with a population of around 2,500. Samuel Staughton inherited the 20,000 acres from his Father an English settler who built the homestead, incorporating 70,000 acres in total in the late 1800s. The bluestones men's quarters are now the golf clubs locker rooms and the coach house is now the golf club pro shop. Eynesbury is home to one of Victoria's largest remaining grey box forests, it is an environmental wonderland including the endangered swift parrot, diamond firetail and barking owl. As well as hundreds of kangaroos, emus, blue wrens and speckled warblers. The area is connected by a network of striking walking trails. The clubhouse is centred on this majestic and beautifully restored homestead with an impressive collection of buildings which were handcrafted from the local bluestone nearly a century and a half ago. 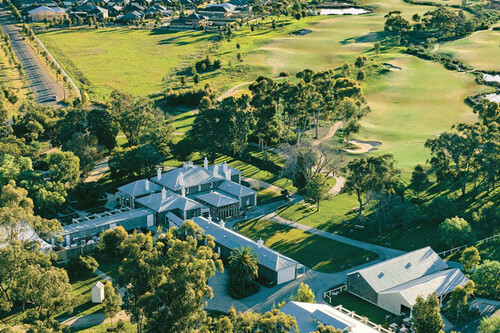 Outer buildings include the original shearing sheds, water towers and workers cottages. All set to provide a glimpse at the early settlers and their origins. Lucas Herbert was to tee up in 2018 in the pro-am chasing a European tour card.